Information Builders (IB) provides its WebFOCUS BI and analytics platform to address the information needs most businesses have. This company has been around a long time and really understands how businesses use information and the tools they need to get at it. The reporting tools are some of the most advanced available and address complex requirements – from compliance to HR reporting. 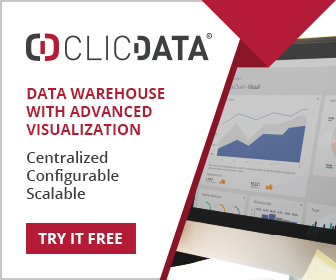 Dashboards, mobile support, graphs, charts self-service BI and embedded BI applications are all available, both hosted in-house or through the cloud. WebFOCUS RStat is an integrated BI and data mining environment, using an engine based on R. This should be of interest to many organizations wishing to integrate analytics with BI, and in this respect IB is well ahead of the pack. In practical terms it means predictive models can be integrated into standard BI delivery mechanisms such as dashboards and reports, providing another dimension for users after maximum insight. 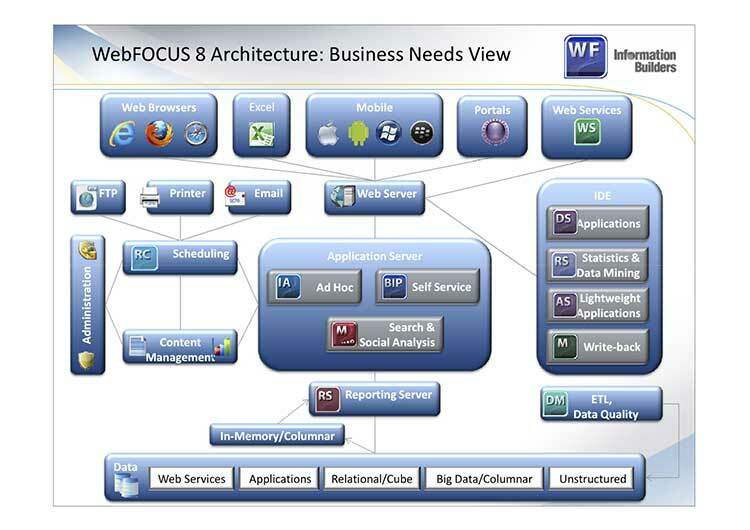 The WebFOCUS Performance Management Framework (PMF) is an out-of-the-box solution for performance management. It comes with pre-built dashboards, hundreds of pre-defined metrics, strategy mapping, mobile alert support, scorecards and many other features. IB also provides a data integration architecture which supports a bewildering array of data sources, and data integrity tools to maximize as far as possible the accuracy and consistency of data. IB has always been a bit of an understated supplier (very unusual in the IT industry), but its success and that of its products is largely down to the excellence of the offering.